Smoked brisket taco at Momentum Coffee in Spring. Photo by Jim Robertson. Momentum Coffee opened in December 2016, bringing a high-quality coffee shop to an underserved neighborhood in Spring. At the time, it served all the dishes and drinks expected at that kind of business: coffee, espresso drinks, tea and pastries. Now, owners Allen Leibowitz, Ethan Elms, and Tia Hoffman have rolled out breakfast and lunch on weekdays, as well as brunch on weekends. To encourage diners to try the new menu, Momentum Coffee is offering a $2-off coupon until April 30—and it can be found right on the menu. Beet and kale salad at Momentum Coffee in Spring. Photo by Jim Robertson. 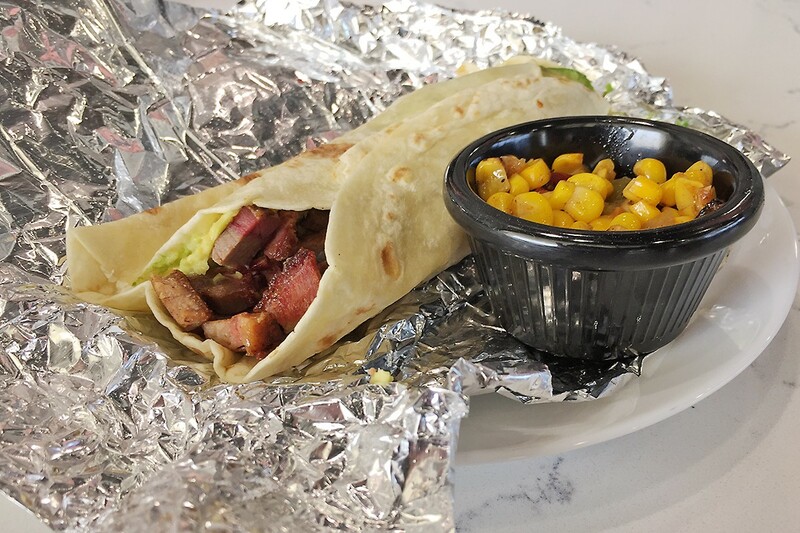 Momentum offers three different tacos that range from $3 to $3.75 each, including one with smoked brisket, avocado, and chèvre (goat cheese) on a flour tortilla. Each is served food-truck style: wrapped in aluminum foil, which also keeps them piping hot for diners who need to grab and go. The smoky brisket was complemented by the perfectly ripe, creamy slice of avocado and tangy cheese. With a side of corn relish, this is definitely Texas comfort food. 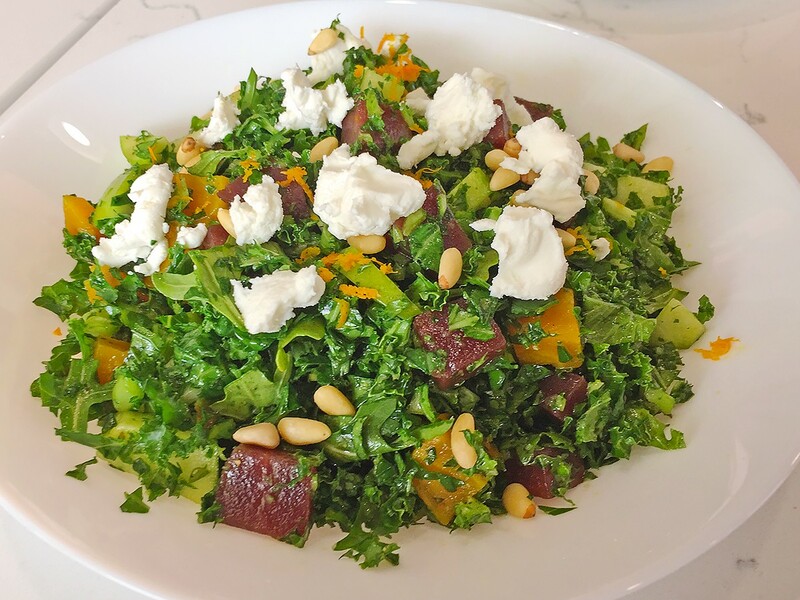 The Kale and Beets salad is $5.50 and features both red and gold beets. Also included is arugula, apples, goat cheese and pine nuts. The salad is lightly dressed with a cucumber-lemon vinaigrette, the citrus aspect of which adds noticeable and welcome brightness. Chopped greens help ensure that each bite is a fusion of all of the ingredients. Lemon-Ricotta Pancakes at Momentum Coffee in Spring. Photo by Jim Robertson. To create the Lemon Ricotta pancakes, Momentum Coffee adds the namesake ingredients are right into the batter. That yields a very light pancake with a flavor that might be hard to pinpoint were it not for the name of the dish. 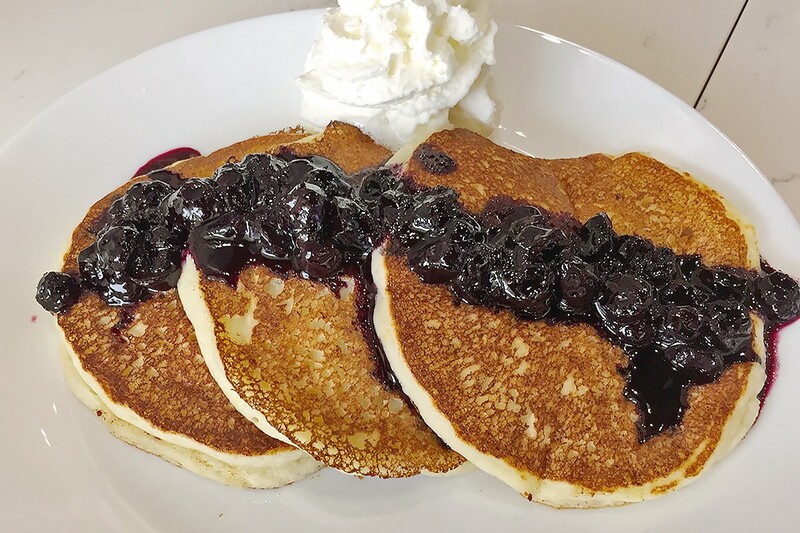 The pancakes are also well-matched with a full-flavored, balanced blueberry compote isn’t overly sweet. The finishing touch is a dollop of housemade whipped cream. The cost for this dish, which includes three pancakes, is $6.50. 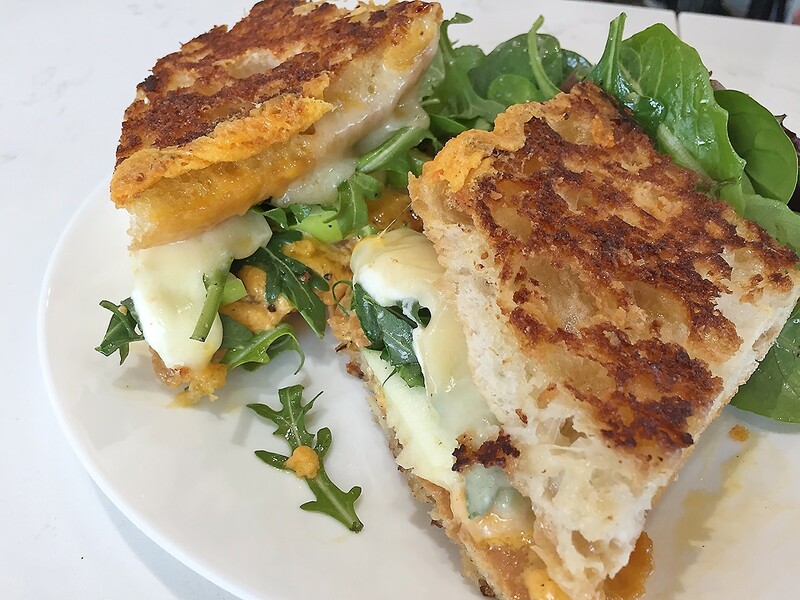 If a great grilled cheese is about the fusion of the ingredients and the preparation, then Momentum Coffee’s version achieves near-perfection. A sliced ciabatta roll envelopes four cheeses: cheddar, gruyere, mozzarella, and blue. Interestingly, the crusty, exterior part of the ciabatta is used for the inner part of the sandwich. This is so the softer middle, spread with butter and sprinkled with more cheese, gets perfectly caramelized on the griddle. This buttery and cheesy crust has a ton of flavor and the perfect crunch. The grilled four-cheese sandwich on ciabatta at Momentum Coffee with Granny Smith apple slices and arugula. Photo by Jim Robertson. On the inside, the heat fuses the cheeses with arugula and Granny Smith apple slices. The latter ingredient lends sweetness, crunch and tartness. The grilled cheese is then served with a side salad of baby spinach and two kinds of Swiss chard dressed with miso vinaigrette. The leafy greens are a wonderful contrast to the richness of the cheese and butter. If you are in the Spring area, this $7.50 grilled cheese plate is a must. If you are elsewhere in the Houston area—make the drive! By the way: Momentum Coffee doesn’t serve alcohol, so instead it has a BYOB (Bring Your Own Bubbly) policy. The shop even has flutes and orange juice on the ready. Momentum Coffee’s attention to quality ingredients and preparation was already apparent in its coffee and tea program. That applies just as much to the new food menu. With the ability to serve diners a real meal, it’s an even more welcome addition to the Spring area than it was before. Hours: 7 a.m. to 4 p.m. Mondays through Fridays; 8 a.m. to 5 p.m. Saturdays and Sundays.